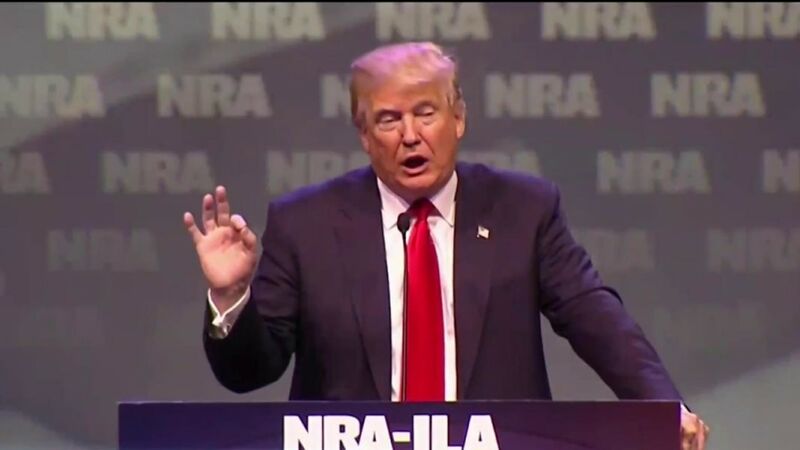 LOUISVILLE, Ky. — The National Rifle Association endorsed Donald Trump at its national convention here on Friday, a late show of support from the nation’s biggest pro-gun-rights group for the presumptive GOP nominee. The endorsement comes despite persistent skepticism from conservatives over Trump’s sincerity on the Second Amendment, after the candidate shifted from backing an assault weapons ban in 2000 to voicing outspoken opposition to any weapons bans and support for an expansion of gun rights since launching his presidential bid. But the endorsement was as much a show of opposition to likely Democratic nominee Hillary Clinton as it was a show of support for Trump. Before he announced the endorsement, NRA-ILA Executive Director Chris Cox told the crowd that “we have to unite and we have to unite right now." Indeed, Clinton was more a focus of NRA leaders at the convention than the gun rights they came to celebrate. 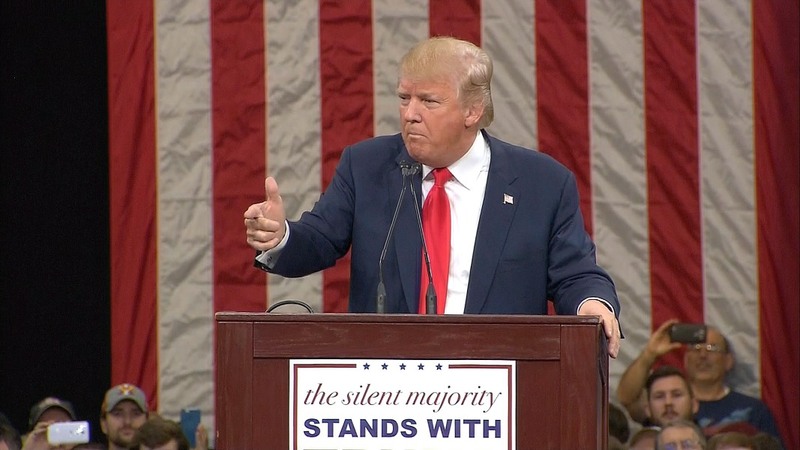 “The Second Amendment is under threat like never before," Trump told the crowd. "Crooked Hillary Clinton is the most anti-gun, anti-Second Amendment candidate ever to run for office." "The Second Amendment is on the ballot in November," he later added. 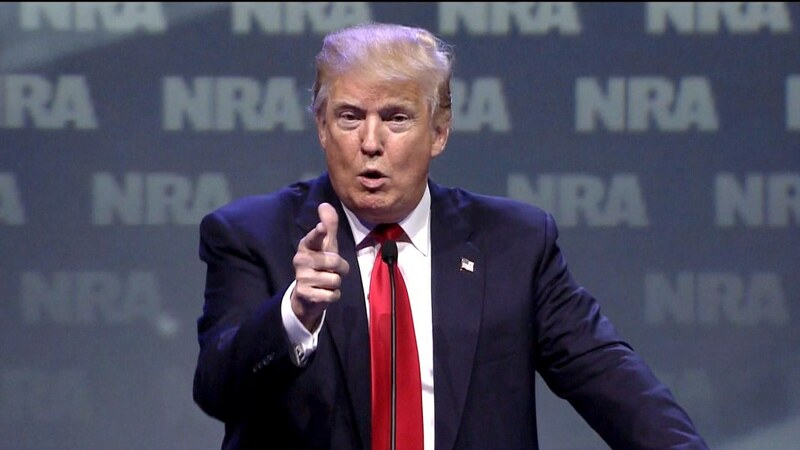 "The only way to save our Second Amendment is to vote for a person that you all know named Donald Trump." Before Trump took the stage, NRA CEO Wayne LaPierre decried her “lust for power and shocking arrogance” and framed her as a fierce opponent to gun rights. “If she could, Hillary would ban every gun, destroy every magazine, run an entire national security industry right into the ground” and put gun-owners’ names on a government registration list, LaPierre said. And Cox set the stakes for NRA members. "Hillary Clinton has a legitimate chance to be the next president as long as people like us stay home,” he said. Since expressing support for the ban and a longer waiting period for gun purchases in 2000, Trump has done an about-face on the issue. He's since called gun bans "a total failure," opposed an expansion of background checks and called for concealed carry permits to be valid across all 50 states. He’s also vowed to eliminate gun-free zones in schools and on military bases on his first day in office, and never fails to emphasize the importance of the Second Amendment during a stump speech. But skeptics remain. His flip-flop on an assault weapons ban was constant fodder for then-opponent Ted Cruz to question his conservative credentials, and some critics went further. The founder of pro-gun rights website Bearing Arms declared that Trump would "be the death of the Second Amendment." And Trump’s speech comes at a pivotal time for the presumptive GOP nominee, as tries to build bridges to the party establishment and reassure conservatives, while still maintaining the outsider appeal that helped earn him the party’s nomination. As evidence of those competing demands, a source familiar with the campaign’s deliberations says Trump’s aides have conferred over whether the candidate should use a teleprompter for the speech, which would ensure a more polished address but dampen some of the candidate’s signature freewheeling style. The current plan is indeed to use one, though the source warned that could change depending on Trump’s whims that day. Trump has spent much of the period since he became the party’s standard-bearer restructuring his campaign for the general election and seeking to appease party leadership, but this week he turned his attention back to comforting conservatives. On Wednesday he released a list of preferred potential Supreme Court nominees, and his speech Friday will be another opportunity to reach out to the party’s base. The NRA convention appearance is just the latest in a long courtship of gun enthusiasts by Trump. He spoke at the same meeting last April, before he officially launched his campaign. During that speech he touted his own lifetime membership of the NRA and his sons’ appreciation for hunting. And one of the first policy statements Trump released on his website was about guns, declaring in that "the right of the people to keep and bear Arms shall not be infringed upon." Many Republicans still remain unconvinced, but they claim that the alternative, presumptive Democratic nominee Hillary Clinton, would be much worse. In a bipartisan roundtable discussion of gun-owners with NBC News’ Tony Dokupil set to air Friday, Haley Rose, a college senior and undecided Republican voter, said she felt he was her only option. "I don't think you can trust him or believe him," Rose said. 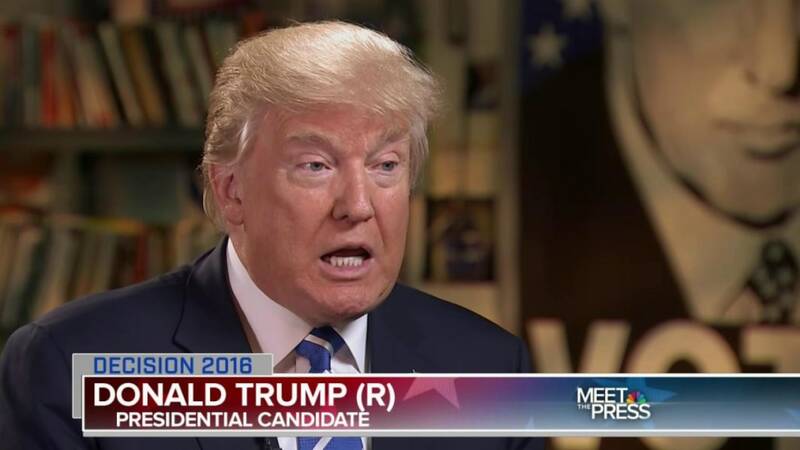 "But he's kind of the Republican Party's last option. So you can not vote or you can vote third party or vote for something you totally don't believe in." Clinton has been as outspoken on the need for expanded gun-control measures as Trump has been opposed, setting up a certain clash over the issue during the general election. Polling has shown a majority of Americans support some form of expanded background checks, and Clinton’s campaign plans to highlight the issue in suburban swing areas, where they believe it could help move undecided female voters in her direction. For Trump, gun rights is more of a base-galvanizing issue, and that’s why it remains so important for him to seal the deal with wary gun-rights advocates — he still needs to consolidate the GOP base, even as he insists he’ll be able to expand the party’s reach to new voters. But Clinton’s push for greater gun-control measures may help push gun-rights advocates into Trump's camp despite his shifting positions. NRA-ILA spokeswoman Jennifer Baker also pointed to anti-NRA comments Clinton has made in the past, including naming the group among her "enemies" during a Democratic debate. "This will be an opportunity for Donald Trump to galvanize anti-Hillary Clinton NRA members from both parties," she said. Baker also pointed to the fact the next president and Congress will likely name at least one and potentially multiple justices to the Supreme Court as motivating gun-rights advocates to tune in and turn out. "For the future of the Second Amendment, the stakes have never been higher," she said.